The Eyre family | Launceston Then! Thomas Symes Eyre was born in 1806 to Thomas and Anne Eyre at Launceston. His father was a woolstapler. 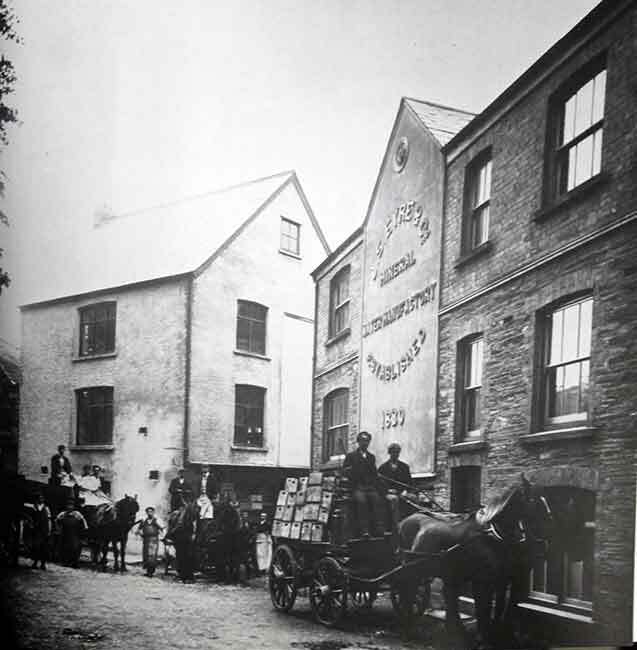 Thomas started up a chemist business in High Street in 1826. 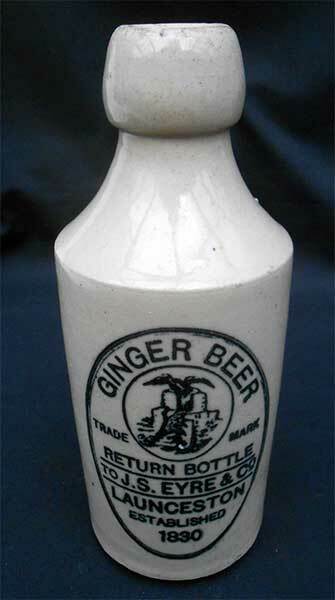 He eventually branched out into manufacturing mineral water setting up the operation in Castle Dyke in 1930. Thomas married Matilda Fowells Horsey at Bristol in 1847 and they set up home at the Walk. They never had any children. He was elected to the Borough Council and served as Mayor in 1850. Thomas died in 1871 and was interred in the family vault at St. Mary Magdalene Church. Jonathon Symes Eyre was born in 1798 to Thomas And Anne Eyre at Launceston. Jonathon followed into his fathers business as a woolstapler and glover. He married Mary Symons on April 22nd, 1823 at St. Thomas Church and they set up home in Tower Street. They had one son also Jonathon Symes Eyre who was born in 1825. Jonathon senior and Mary moved to Exeter. Jonathon died in 1863 at Launceston. Jonathon junior joined his uncle Thomas’s business working as a chemist’s assistant. He married Catherine (Kitty) Green in 1871 at London and they set up home in High Street, Launceston. They had one daughter, Edith, born in 1873. 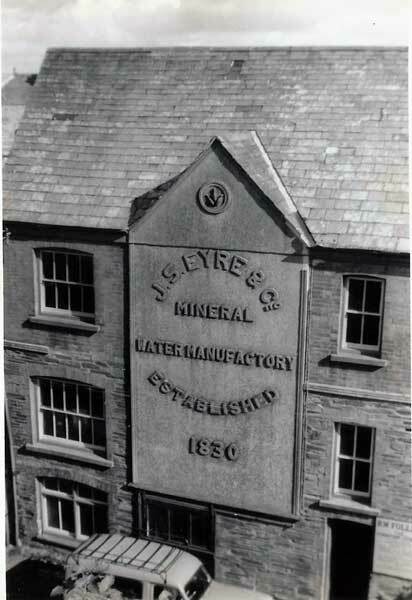 Jonathon took over the business on Thomas Eyre’s death in 1871, building the mineral water manufacturing side of the business up (below). In 1873 he was elected an overseer at St. Mary Magdalene Church. By 1891 he had sold the business to the Geake brothers and the family moved to Kensey Lodge, Avenue Road, Penge, Croydon. Jonathon died in 1902 at Croydon, Surrey.